We appreciate your feedback about your support experience with OPMC, developers of Disability VAT Exemption. This helps us maintain high standards on the WooMarketplace, and helps OPMC improve. 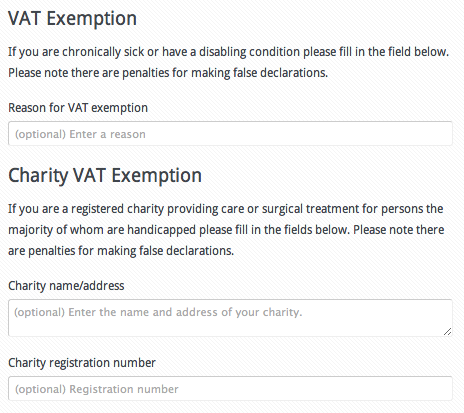 This extension is perfect if your store sells products to charities or customers with disabilities whom are exempt from paying VAT. It allows you to define eligibility on a per product basis, eligible products will use the zero rate for VAT at checkout. A simple form is added to the checkout which allows the customer to enter details which are attached to the order and exempt them from paying VAT.